We buy most collectables so whether you have a single item or a whole collection that you wish to sell, we would be very pleased to value it and buy it from you. Being in central Norwich right next to the main bus route through the city, we are at an excellent easy-to-find location. 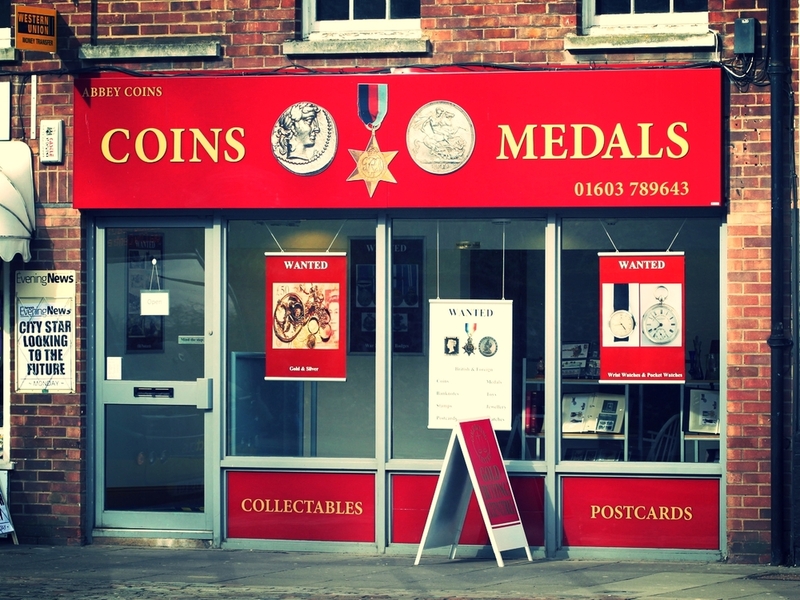 We have experts who specialise in British and World Coins, Banknotes, Medals, Postcards, Stamps, Watches and other Collectable items.